Cut through the beautiful Lowcountry, Legend Oaks is just off scenic Highway 61 and located on the site of a former rice plantation. Uniquely surrounded by the natural beauty of 300 year old majestic live oak trees and a whole host of Lowcountry wildlife. The Scott Pool Championship golf course provides a challenge for all level of players, with four sets of tees. 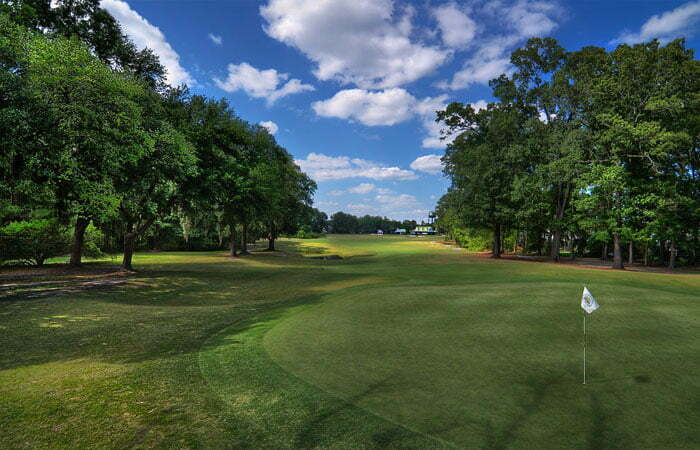 Legend Oaks has won numerous awards including 2010 Golf Course of the Year for South Carolina, 2007 Top 100 Course in the Carolinas, 2004 Top Three Lowcountry Course and rated 3 1/2 stars by Golf Digests’s Place to Play …you must experience Golf Plantation Style at Legend Oaks! I-95 South to I-26 East. I-26 East to Exit 199A. This is Hwy 17-A. Take 17-A through Summerville about 10 miles to Hwy 61. Take a left on Hwy 61. Golf club is 3 miles down on right. Features: Pro Shop, Snack Bar, Putting Green, Lessons and Club Rentals. Dress Code: Collared shirts. No jeans. Soft spikes only. Cooler Policy: No coolers. Coolers available at course with 100% refundable deposit.